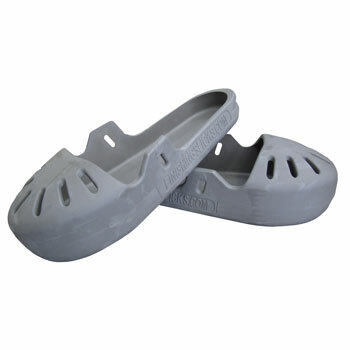 FINISHING SLICKS Brand Concrete Finishing Overshoes are designed to be worn during the actual finishing phase of concrete. FINISHING SLICKS eliminate the need of patching up holes and marks, which normally work boots/shoes and knee boards would leave behind. By eliminating repetitious motion, FINISHING SLICKS will save the concrete finisher time and money, while still allowing for quality.